Heaven on Earth……… well, close. We are going on our annual trek to Lake Tahoe today. 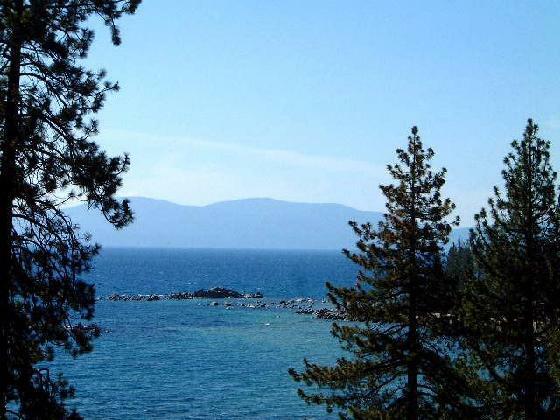 I L-O-V-E Lake Tahoe. The smell of the pine trees. 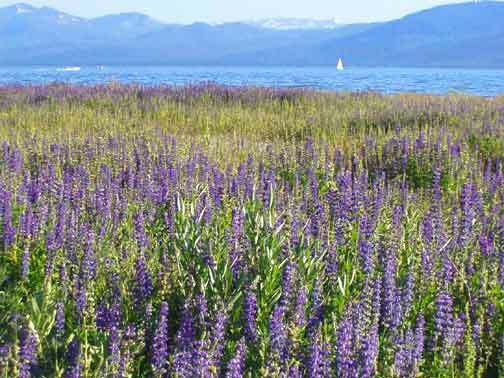 The bright purple lupine swaying in the wind next to the crystal clear blue water. The gigantic pine cones. The paths of crunchy pine needles. The brilliant blue jays. The slow pace. The laugh-til-you-hafta-run-to-the-bathroom games with our dear friends. This year marks 30 years that we’ve been friends. We’re officially old now. Packing for Tahoe is like packing for no other destination on earth. We pile the van with games, snack food, bathing suits, bikes, sunscreen, craft supplies, pellet guns, beach towels, DVDs, the dog and Christmas presents in July. See. Like no other. Nothing comes in the van that involves business, school, church ministries (OK, the Bibles come) or thinking. Nothing. Only pleasure reading books too. I’m taking The Shack. I’ll give a book report later on. It is pure relaxation for seven whole days. No alarm clock. No agenda. No bedtime. No worries…. unless Trixie gets out again. Or Leonard Nimoy’s dog digs a hole under the fence again. So don’t worry about us this next week. We’ll be just fine. I’m planning a photo essay for y’all of our daily sites and sounds. Ooooooh, tantilizing, I know. Hit the snooze button a few times for me this week, ok?